BRU Fall Fest is back and bigger than ever – with expanded offerings this year from the newly opened Tradesman’s! Craft Concepts Group, BRU Craft & Wurst, U-Bahn, Kontrol and Tradesman’s take over the 1300 block of Chestnut Street with eight hours of outdoor food, beer and music on Saturday, October 6, 2018 from Noon to 8:00pm. 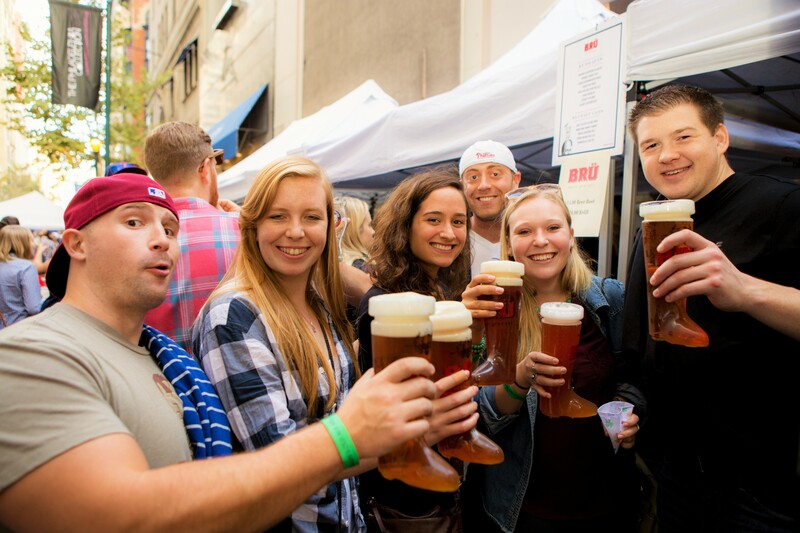 BRU Fall Fest is free and open to the public, and 21 and older to drink (with identification). BRU Fall Festival is free and open to the public, and 21 and older to drink (with identification). BRU and Tradesman’s will serve an abbreviated version of the regular daily menu inside. Pro-tip: Skip Midtown Village’s beer lines by dropping in for self-serve taps inside BRU. Food and drink are pay-as-you-go. For more information about BRU Fall Fest visit BRU on Facebook under the events tab.